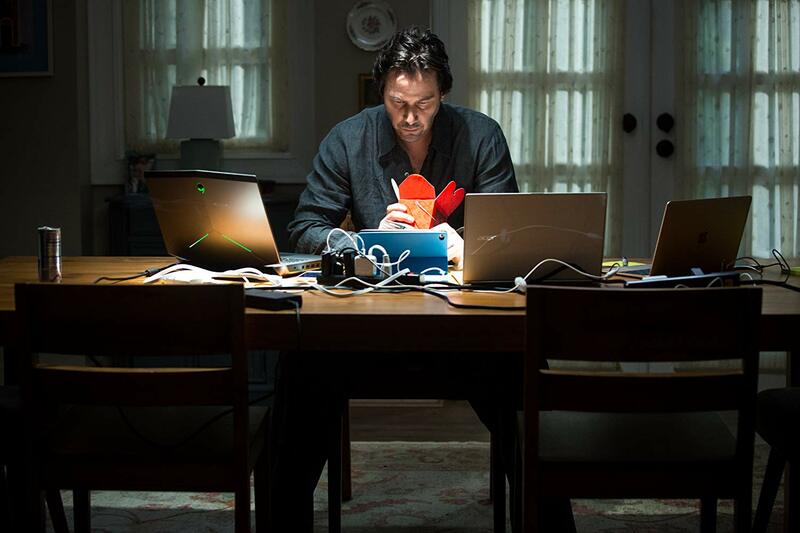 REPLICAS is an American science fiction thriller film that stars Keanu Reeves. Directed by Jeffrey Nachmanoff. Written by Chad St. John. Purchase REPLICAS on Blu-ray on April 16, 2019! 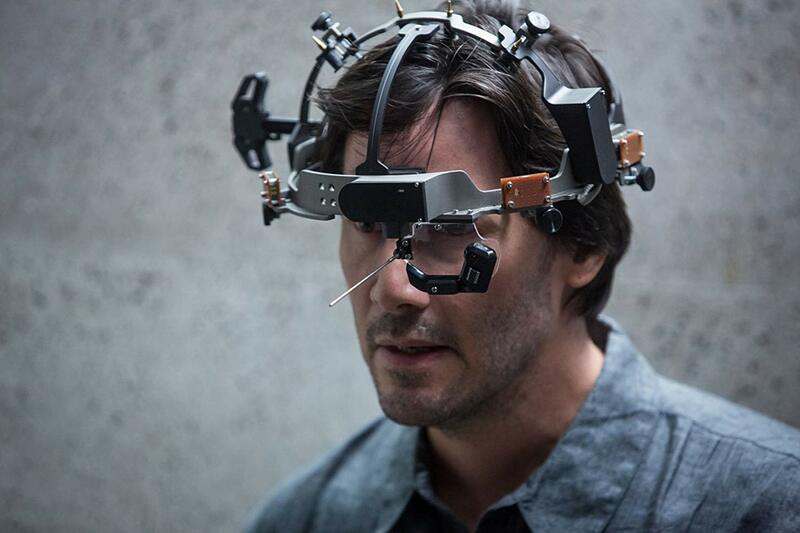 REPLICAS is an American science fiction thriller film where biomedical neuroscientist Will Foster (Keanu Reeves), is attempting to transfer human minds into androids. After multiple failed attempts these androids aren’t working like they should be once the human mind enters the android and the project is close to being shut down for good. After such a rough week at work Will and his wife and three kids go on a trip and the unfortunate turn of events happen. Nasty weather caused a fatal crash where his entire family died. Will is so obsessed with brining his family back to life that he calls him friend and co-worker Ed (Thomas Middleditch) in for help. The two decide to start the process of preserving his family’s consciousnesses and clone his family. One of the biggest downsides of this plan is that there are only three pods available, so Will must choose which family member he must let go. The experiment is successful and his family is back without any memory of the accident or the daughter/sister they lost but it didn’t come without some flaws. Will’s wife Mona (Alice Eve), begins to have flashback and odd feelings and knows that something is wrong. Will reveals the truth to Mona, but then his boss already knows the secret that Will has been keeping. Jones (John Ortiz) wants the algorithm for human cloning or else he will kill the family Will brought back. Instead of all of the project being for medical purposes, it actually is being paid for by the government for military weapons. 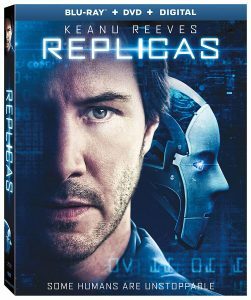 The video is a 1080p quality on the blu-ray for REPLICAS. this was great for the science fiction film being presented. The lighting and CGI was good for the majority of the film. The car crash scene and some of the lab scenes were sort of hazy. Wish those important scenes were a lot clearer. I’m really shocked this film didn’t get a 4K Ultra HD release. The audio is DTS-HD 5.1 Master Audio and it is great for this science fiction film. 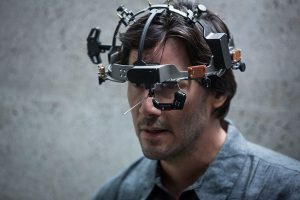 This film sounded real good overall and all the high tech, lab sounds were exactly where they needed to be. The car wreck scene was defiantly loud when that occurred. Can’t complain about any of the sound choices made for REPLICAS.